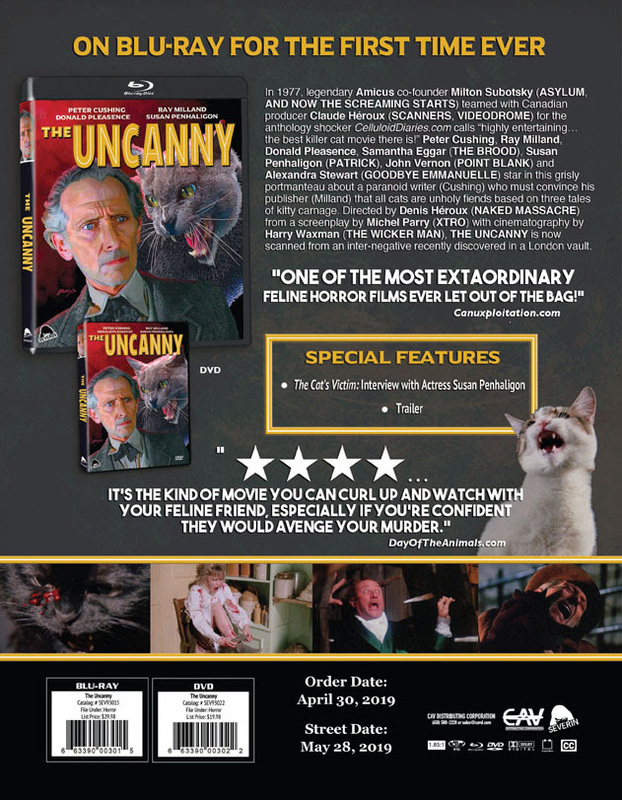 Severin Films presents THE UNCANNY –On Blu-ray for the first time ever. 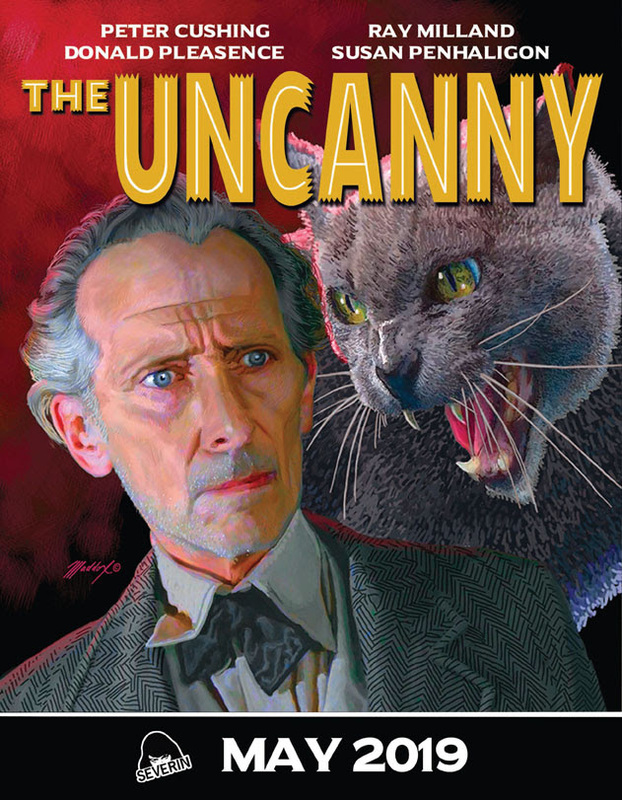 In 1977, legendary Amicus co-founder Milton Subotsky (ASYLUM, AND NOW THE SCREAMING STARTS) teamed with Canadian producer Claude Héroux (SCANNERS, VIDEODROME) for the anthology shocker CelluloidDiaries.com calls “highly entertaining…the best killer cat movie there is!” Peter Cushing, Ray Milland, Donald Pleasence, Samantha Eggar (THE BROOD), Susan Penhaligon (PATRICK), John Vernon (POINT BLANK) and Alexandra Stewart (GOODBYE EMMANUELLE) star in this grisly portmanteau about a paranoid writer (Cushing) who must convince his publisher (Milland) that all cats are unholy fiends based on three tales of kitty carnage. 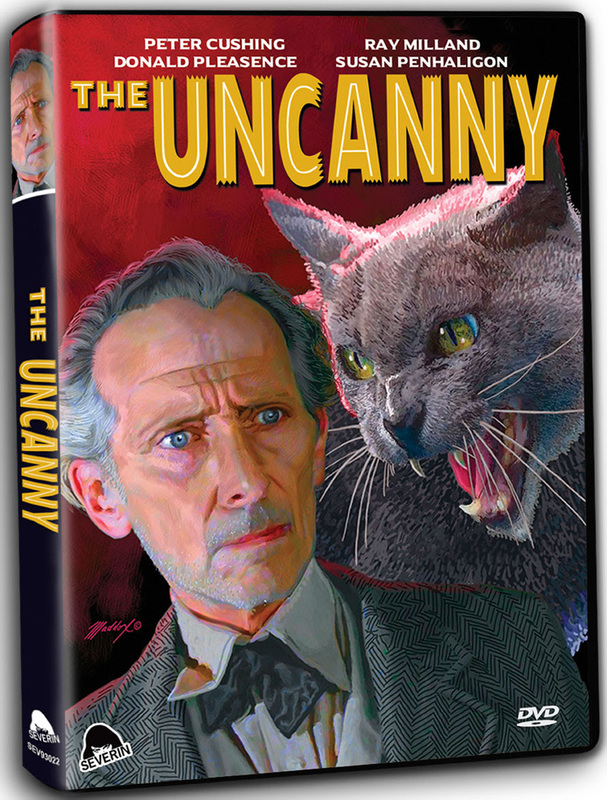 Directed by Denis Héroux (NAKED MASSACRE) from a screenplay by Michel Parry (XTRO) with cinematography by Harry Waxman (THE WICKER MAN), THE UNCANNY is now scanned from an inter-negative recently discovered in a London vault.